Opt for pastel hues for a look that is undeniably feminine. 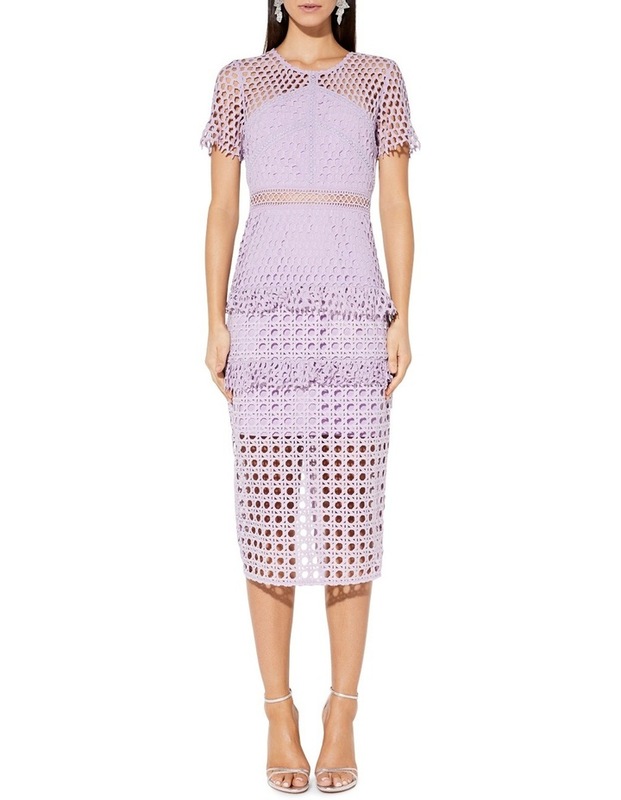 Crafted in a lilac lace, The Mirror Image Dress by Mossman will add a modern sophistication to your look. Featuring a fitted midi length silhouette, sheer sleeves and neckline and ruffle details on the skirt. Main 100% Polyester. Lining 97% Polyester, 3% Spandex.